For many artists it seems like honesty might not be the best policy. It is often the elegance of extreme fabrication, the indulgence of the imagination, and a reconfiguring of history’s givens that makes work intriguing. This is not to say, however, that the films and videos in this exhibition of British artists lack sincerity. But each work shown here appears mindful—if not doubtful—of the value of truth. And, wandering through one of Italy’s finest new art spaces which seems to take on a poignant site-specific quality—a large part of the show is exhibited in the beautiful Donna Regina church—it is this doubt or critical enquiry that inflects each work. Inscrutable narrators are conspicuous among the exhibition, appearing in works by The Otolith Group, Duncan Campbell, Simon Martin and Roger Hiorns. These voices lead the audience through a morass of tall tales, daily banalities and desperate longings that threaten to unravel and undermine themselves at their most crucial climax. But this unravelling is not simply inherent in the works themselves. It occurs at the point of reception, as the videos enter into a dubious contract with an audience who negotiate between what is seen and what is heard, and can choose to trust neither. The Otolith Group’s video ‘Otolith’, 2004, is one of the most overtly political and surprisingly poetic, perfectly articulating its own statement that ‘there is no memory without image’. The video defies linear time, instead choosing to oscillate between a future present (year 2103), the recent past (now), and history (the Cold War period). While ‘Otolith’ gathers its imagery from various archive propaganda reels and the artists’ own childhood footage, Campbell’s ‘Falls Burns, Malone Fiddles’, 2003, also finds strategies with which to question personal and received histories, namely that of the Northern Ireland conflict. Ryan Gander’s work, meanwhile, takes the exhibition’s most curious and comic turn. 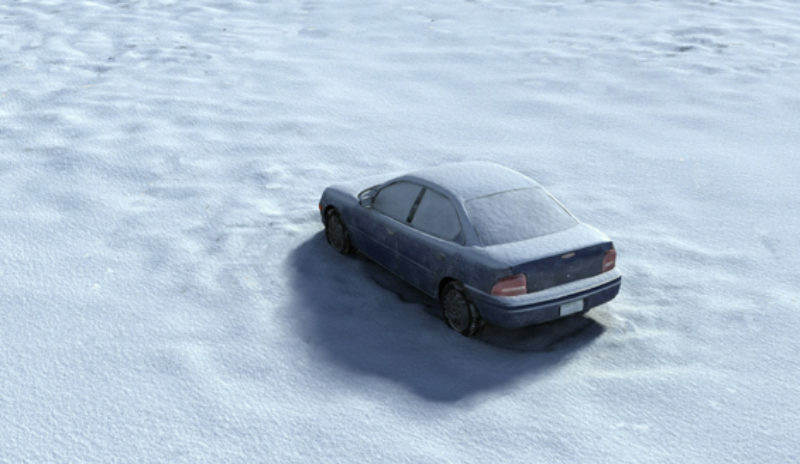 His witty installation ‘Is this guilt in you too—(the study of a car in a field)’, 2005, casts doubt on the authenticity of the projected image. Beautifully embedded in a small room tucked under the main stairs of the museum, the audience enter into a white-carpeted space filled with the voice of a young girl (apparently Matthew Slotover’s daughter). The audience listen to her attempts to interpret one of Gander’s enigmatic CGI sequences that runs on constant loop in one corner of the room. As the video incessantly repeats and the voice responds to the film, the installation begins to both deconstruct and refresh itself with each reiteration of the sequence, revealing an escalating and unexpected depth. With these and the other works, there is an urgent sense in which the medium of the projected image seems to occupy a position between linear and disjunctive temporalities, between home slideshow and personal consciousness. Amazingly, and to its credit, the exhibition never surrenders to the projected image as mass media. Although weaker works by Mark Aerial Waller, Simon Martin and Cathy Wilkes appear flattered by their company, curators Colin Ledwith and Polly Staple’s ambitious project threads together works that challenge the integrity not of the works exhibited, but of our own perception.